I write on behalf of the Middle East Studies Association (MESA) of North America and its Committee on Academic Freedom in order to express our dismay and concern over recent allegations of censorship at several Turkish universities where scholarly publications have touched on sensitive subjects such as racism against Africans in Turkey, Kurdish rights or environmental issues. Reports of the forced withdrawal of an article from a refereed journal, a disciplinary investigation and lawsuit against a scientist who drew attention to serious health hazards related to industrial pollution, and the cancellation of conferences due to interference by university administrators are only the most recent examples of ongoing political interference in academic freedom at Turkish universities. The fact that these instances all touch on topics deemed sensitive or controversial by your government gives the appearance of coordination between the government and university administrators to ensure that certain subjects be excluded from academic scrutiny, which would constitute a clear violation of academic freedom. MESA was founded in 1966 to promote scholarship and teaching on the Middle East and North Africa. The preeminent organization in the field, the Association publishes the International Journal of Middle East Studies and has nearly 3000 members worldwide MESA is committed to ensuring academic freedom and freedom of expression, both within the region and in connection with the study of the region in North America and elsewhere. An issue of a peer-reviewed journal, Afrika, published by Ankara University’s Africa Studies Center (AÇAUM) was withdrawn by the editors and authors of the articles following an attempt by the Center’s administrator, Doğan Aydal, to censor material in an article reporting on perceptions among Africans living in Istanbul that they experience widespread racism against black people in Turkey. Mr. Aydal commented to the Turkish newspaper Hürriyet that while academics were free to cite to such remarks in the course of their research on the conditions of African nationals living in Turkey, that he considered it his responsibility to “defend the Turkish state” from such claims and accordingly would not allow articles containing such material to be published in a journal associated with the Center. The editor of Afrika, Professor Barış Ünlü, reported that Mr. Aydal announced a new policy of removing articles containing offensive comments concerning Turkey, as well as articles using terms deemed problematic by Mr. Aydal, such as “Kurdistan.” Other professors at the University have made public comments to reporters that they are experiencing increasing restrictions on academic freedom and freedom of scholarly research and publication with every passing day at Ankara University under its current, government-appointed administration. This trend of intervention in the publication and circulation of academic research by government-appointed administrators appears to be more widespread as evident in another case, that of Professor Onur Hamzaoğlu. Chair of the Department of Public Health at Kocaeli University, Professor Hamzaoğlu’s research revealed the presence of chemicals in the breast milk of test subjects, exemplifying health hazards related to industrial pollution exposure. Upon presentation of his research findings, Professor Hamzaoğlu found himself the subject of lawsuits filed by the Mayors of two affected towns, Kocaeli and Dilovası. In publicizing his findings, Professor Hamzaoğlu stated that: “We have detected zinc, iron, aluminium, lead and cadmium even in maternal breast milk in addition to blood and feces samples, thus, there is an enormous danger.” The mayors took this statement as “evidence” of academic misconduct intended to cause a public panic. Following the filing of these lawsuits, the university administration was also pressured by the government to initiate a disciplinary investigation into Professor Hamzaoğlu’s work. Political motivated lawsuits and disciplinary proceedings intended to impede research concerning the health consequences of environmental pollutants is inimical to academic freedom. We are also concerned about the cancellation of two conferences at Galatasaray University, apparently under pressure from the government-appointed Rector of that University, Ethem Tolga. The first conference, on gender equality, was to have been held on September 19, 2012, but was canceled because of the anticipated participation by one of the invited speakers, Sebahat Tuncel, an Istanbul deputy for the Peace and Democracy Party (the BDP). The second conference, on prisons, was to have been held on October 3-4, 2012, but was cancelled because the Rector apparently objected to the speakers listed in the program, particularly another BDP deputy, Ertuğrul Kürkçü. Both conferences sought to address in a scholarly, open and critical manner issues of substantive academic interest and they were organized in adherence to all relevant Turkish laws governing public assemblies and academic gatherings. According to published press reports, the reason for the cancellation of both of these conferences was Rector Tolga’s view that the participation of elected deputies from a lawful, pro-Kurdish political party would lead to the airing of undesirable views. Such views are consistent with broader reports that academic publications and events regarding Kurdish issues are increasingly frowned upon and limited by university administrations and that academics studying these issues—particularly those who have leftist tendencies or belong to academic unions—are isolated and vulnerable to punitive action by administrators for engaging in protected academic activities. 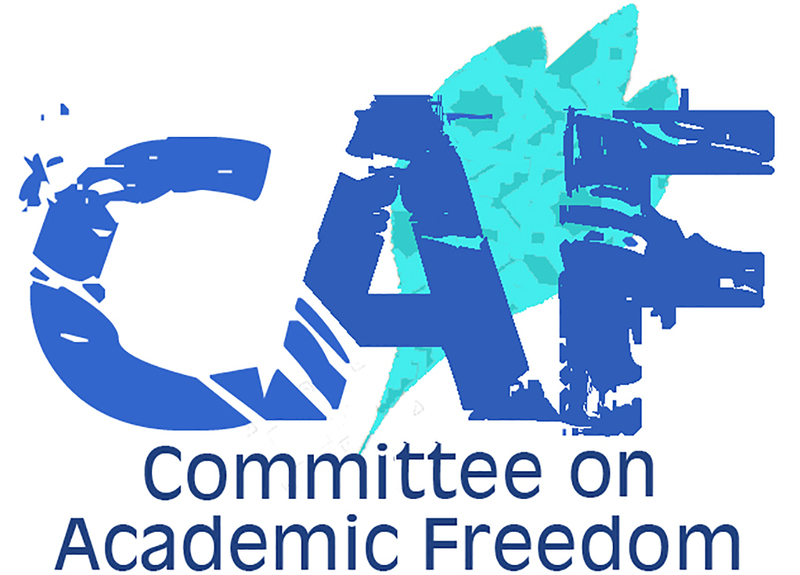 I have written to you previously on behalf of CAFMENA about the cases of academics working on Kurdish issues who have been detained and whose academic freedom has been violated by your government. Taken together with those cases, actions such as the intervention of government-appointed university administrators to prevent academic publications or events concerning issues deemed sensitive by the government make it appear that the Turkish government has undertaken a campaign to inhibit the dissemination of knowledge, the conduct of academic research and even the right to an education where any of these protected activities overlap with criticism of the government or a focus on issues deemed politically sensitive, such as Kurdish rights. As a member state of the Council of Europe and a signatory of the European Convention for the Protection of Human Rights and Fundamental Freedoms, Turkey is required to protect freedom of thought, expression and assembly. Further, Turkey is also signatory to the Universal Declaration of Human Rights, the International Covenant on Civil and Political Rights, and the Final Act of the Conference on Security and Cooperation in Europe (OSCE), all of which protect the rights to freedom of expression and association, which are at the heart of academic freedom. These rights are also enshrined in the Turkish Constitution. We urge your government to take all necessary steps to prevent censorship of publications or the cancellation of events—like the incidents at Ankara University, Kocaeli University and Galatasaray University detailed in this letter—by any government appointed university administrator or other officials. Further, we ask that you take all necessary steps to restore the publication of the censored issue of Afrika, desist from disciplinary and legal proceedings against Professor Hamzaoğlu and permit the rescheduling of conferences that were cancelled due to impermissible interference in academic freedom at Galatasaray University. Thank you for your attention to this matter. I look forward to your positive response.